I'm obsessed with short, messy bobs. Like obsessed. I cannot get enough and although I was terrified at getting a mere 6 inches cut off my head a month or so ago, I'm really, reallllyyy tempted to get it cut shorter! Now with that all said, I'm also thinking of growing my hair back long and dying it some amazing colour as I miss my pink hair like a hole in the head. I know, I'm indecisive! As a hairdresser and from experience I know both are going to be a bit of a pain in the rear. As I'm unfortunately not naturally blonde, up keeping my blonde from bleaching to using purple shampoos and conditioners and highlights/lowlights is not only annoying but can soon empty your bank account. 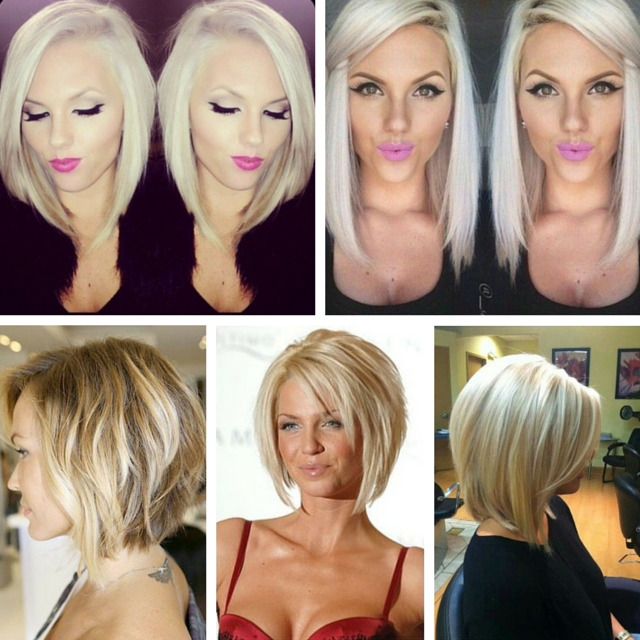 Not only that but short blonde bobs, a hairstyle that has to be cut regularly as well as be looked after. Ouch! However I just can't help myself! I've never had really short hair and as summer is coming up I'm finding myself wanting to do it. I hate dealing with long hair, from it taking hours to dry to constantly whipping me in the face but I do love having the length and the many styles this brings. On the total other side of the spectrum is the gorgeously un-natural side of things. I miss my pink hair more than anything but can also remember the cost and time consuming up-keep to maintain the brightness and color. I can never decide on a color I like long enough either. I've had pretty much every colour you can think of and I always end up changing my mind a month later and going with a totally different colour! I think it's going to end in a totally rash decision but I am leaning more towards just cutting it off into a short bob for the summer. I can always grow it out and play with various colours while it's growing. 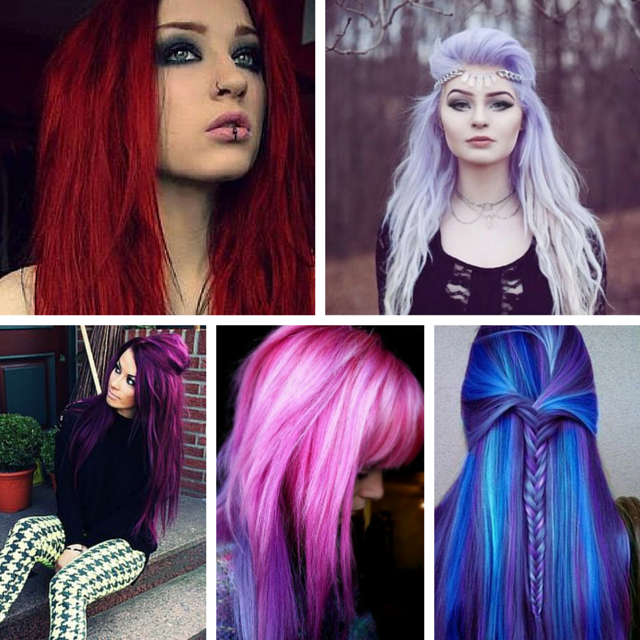 So what hair are you crushing on at the moment? 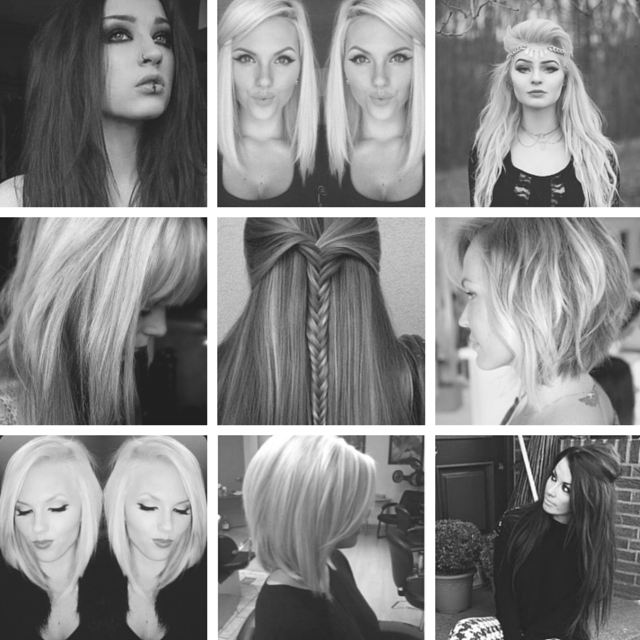 Hair, like make up and fashion, is great to experiment with, you can never usually go wrong! I've been toying with the idea of updating my hairstyle but I always chicken out! I've never even died it, I'm not brave enough although I love the purple in your collection above.